From the haunting fairy tale of Alexei’s Tree to the menacing atmosphere of The Plasmid, this collection of 23 original short stories will captivate and entertain. The paperback is published by Troubador at £7.99 and may be purchased on a secure page direct from the publishers at www.troubador.co.uk/shop.asp. 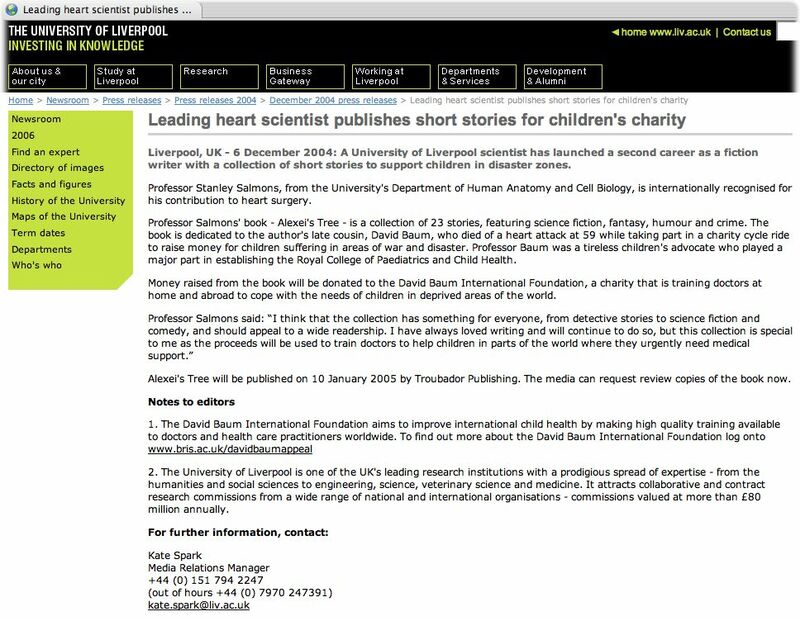 All royalties go to the David Baum International Foundation.